These Sacred Mantras spark greater Life Force within you and the spiritual confidence that you can move mountains! By repeating the Mantras you can increase your physical vitality or the Life Force and Luminous Essence of anyone you are praying for. The Sacred Mantras contain the Heroic Energy and Victory Power of the Universe that help you dissolve challenges. 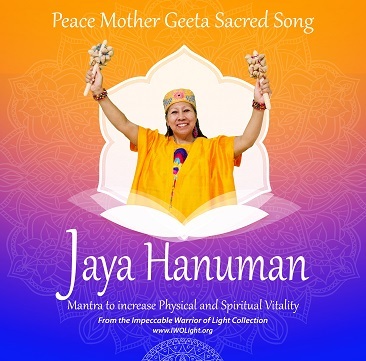 Listening or singing along with these Sacred Mantras fills you with Divine Strength and Noble, Golden perspectives that accelerate your healing to create positive changes in your Life. Repeating these Sacred Sounds aligns you with your triumphant Higher Self. Each repetition also augments Courage, Faith, Creativity and Sweet Devotion to the Dharma, the Goodness of the Universe. Begin chanting these Healing Mantras today to connect with your inner Champion of Light! Physical CD will feature original album artwork, which differs from album artwork shown here.